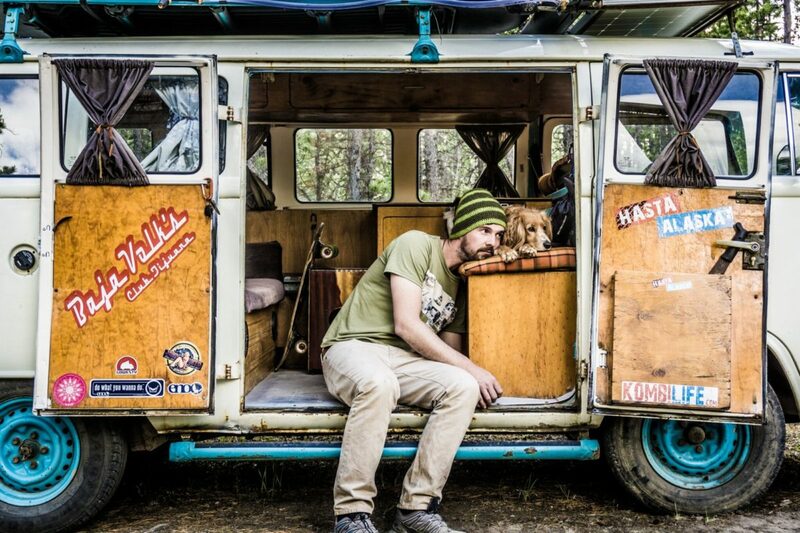 Ben Jamin of "Kombi Life" with his dog, Alaska, on the road. 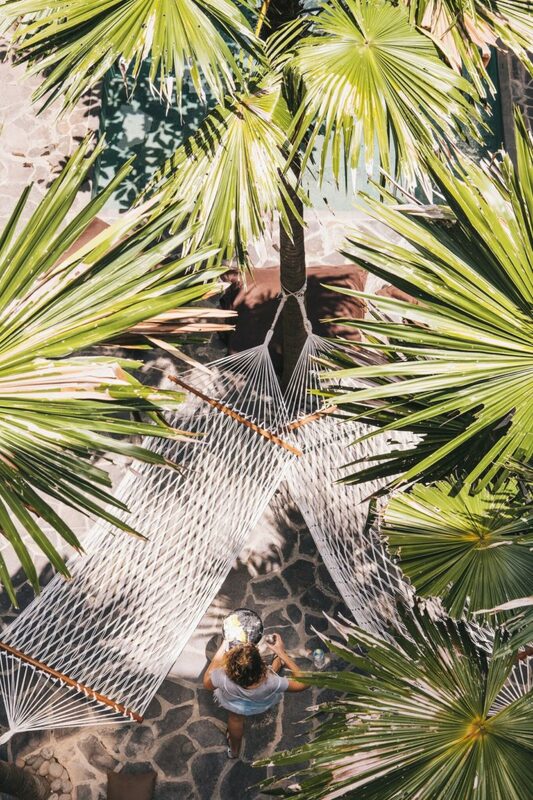 Travel is traditionally something people look forward to as a break, a vacation from the real world, time to tune out and recharge. Now, however, young people especially are making travel a way of life, rather than an escape from it. 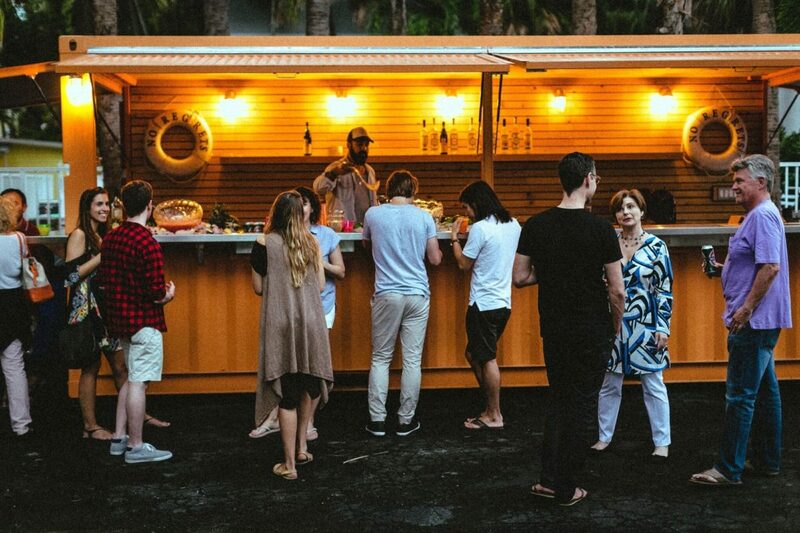 No longer reserved for backpackers or gap year-takers, millennials are taking their show on the road full time—ditching the stable home life of their parents’ generation. 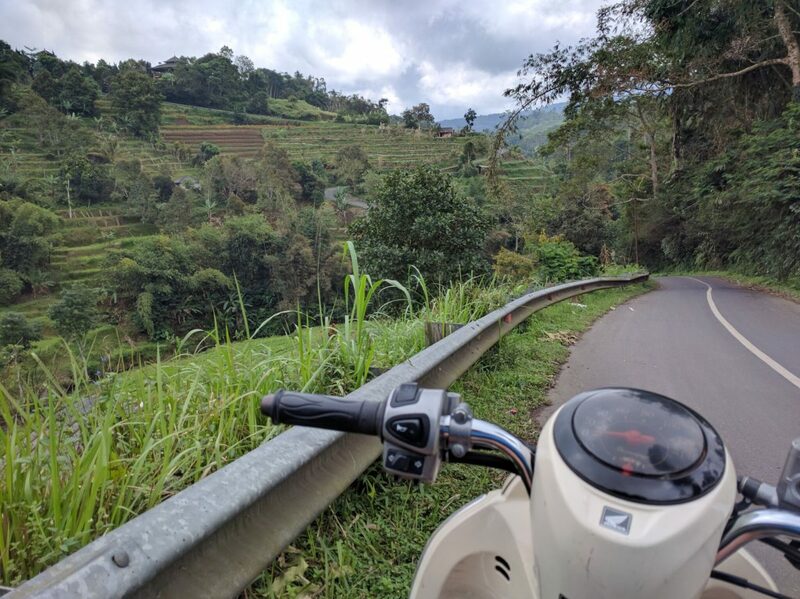 Dubbed “digital nomads,” this way of living seems to be a natural fit for the new American generation: a ragtag bunch of youngsters spurned by the fallout of hyper- global- imperialist- etc. capitalism, and, according to many a keyboard philosopher, unable to afford houses, find steady office jobs, or experience love, thanks in large part to avocado toast. Thanks to improved technology and a bounty of new companies that promise users a seamless global lifestyle—and thanks to the privilege of relatively uninhibited global access enjoyed by citizens of the “global north”—the prospect of becoming one of these career wanderers is more realistic than ever for young Americans. Still, this appealing/terrifying life choice can feel out of reach for the average person looking to escape monotony and test out a radically alternative lifestyle. Below, you’ll find five “digital nomads,” all at different stages in their journeys, and all with different perspectives on life untethered. It’s a common experience, to graduate from school and have a handful of vertigo-inducing “so… now what?” moments. Attempts to answer that question often include travel in one way or another, like a cross-country road trip or a city tour of western Europe. 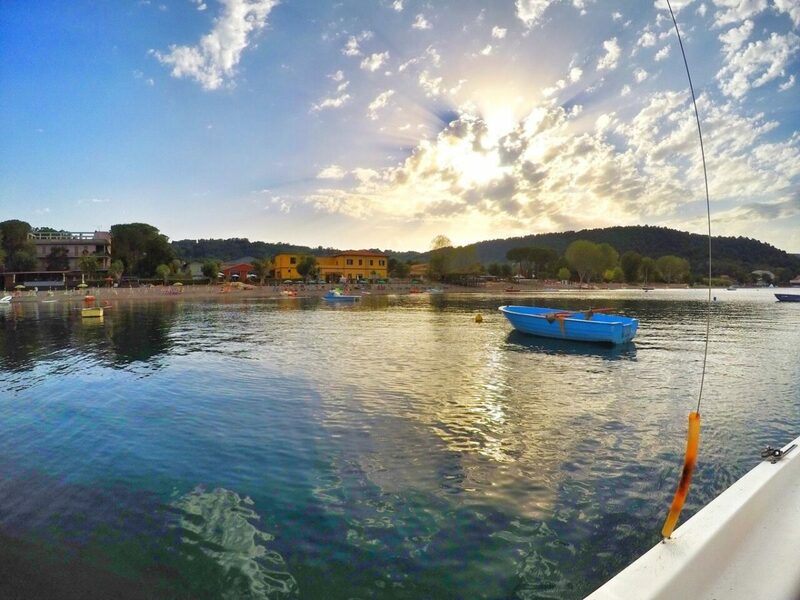 For 27-year-old Todd Plummer, however, your basic post-grad trip with one destination and an end date wasn’t going to cut it. 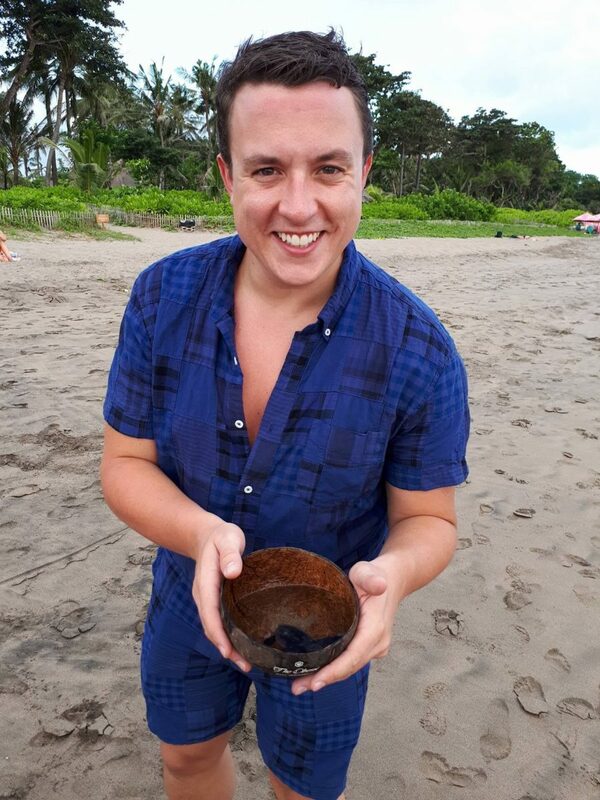 Todd re-releasing rescued sea turtles at the Oberoi Hotel on Seminyak Beach in Bali. Driving through the Jatiluwih Rice Terraces. 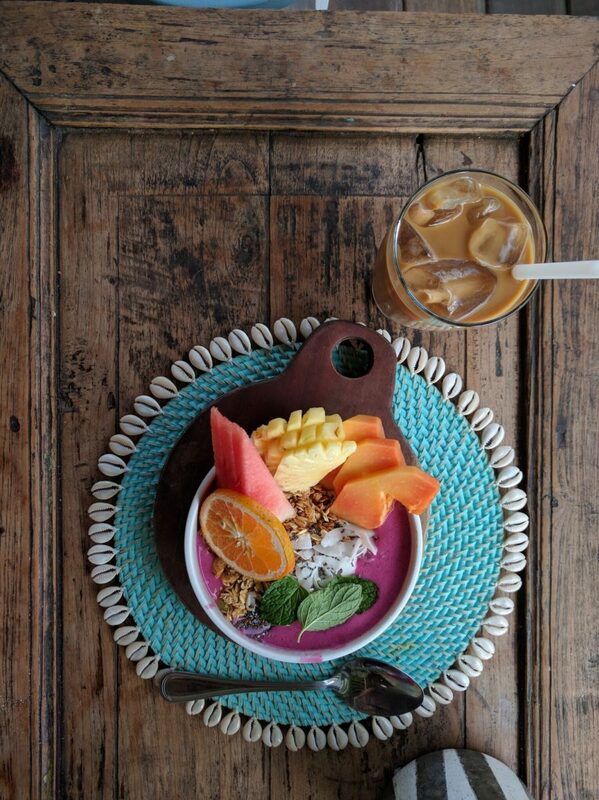 Açai bowl at Shady Shack Cafe in Canggu, Bali. 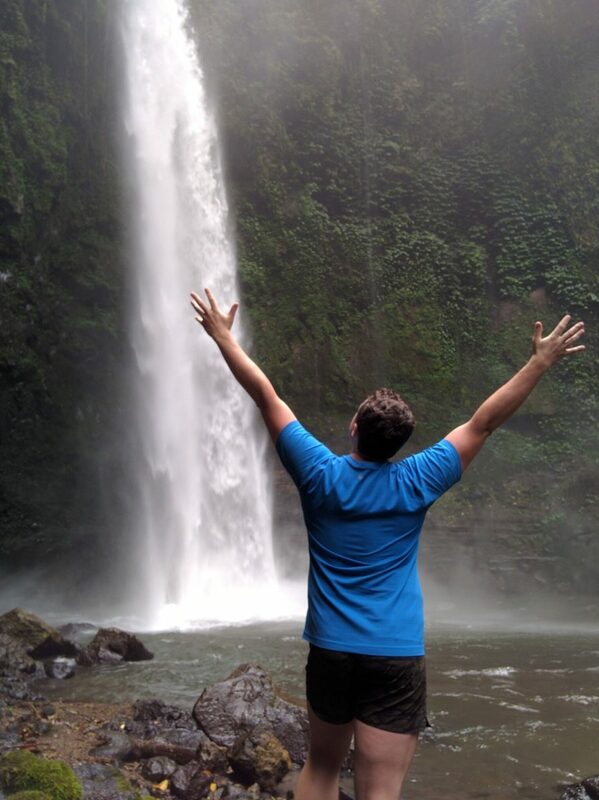 Views from Bali's Nungnung Waterfall. 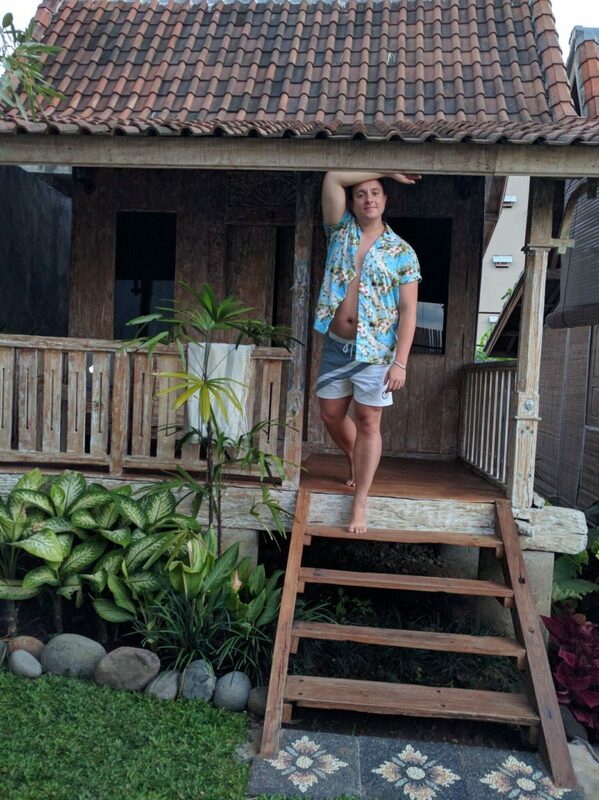 Plummer realized he might never have the opportunity to travel freely again, so he packed his bags and headed to Bali. “My original intention was to just set up shop on Bali for a few months, perhaps even a full year,” he said. 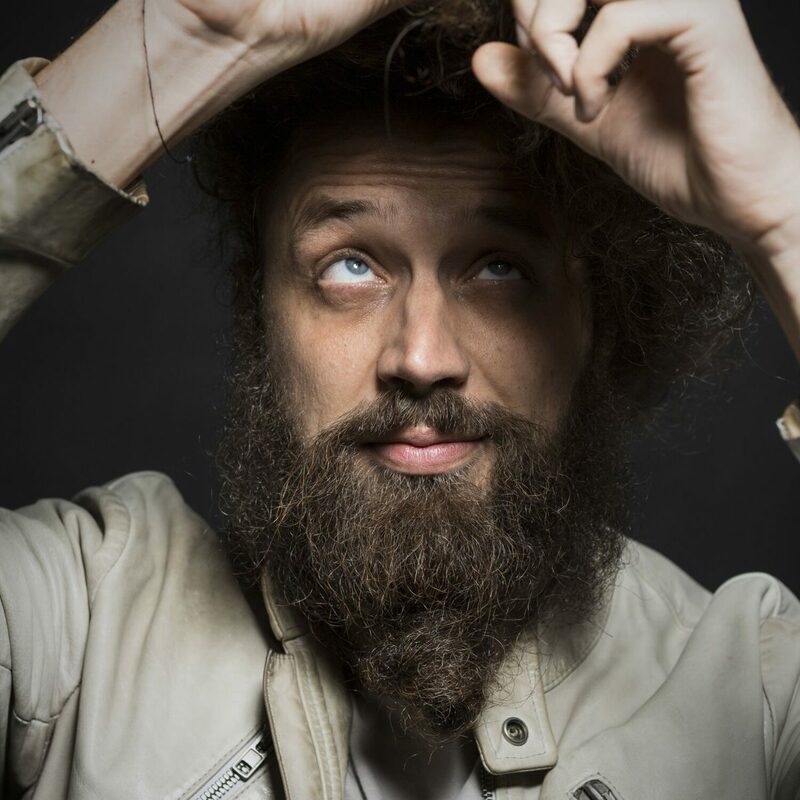 “But one thing led to another and basically for the next six months I’m traveling nonstop.” After Bali, he’s headed to Norway for a Kygo show and Oslo Fashion Week, then on to Germany and Italy, Shanghai for a friend’s wedding, Cambodia for a river cruise, then to Melbourne, Sydney, and Perth, back to Bali, on to New Zealand, and, finally, to Argentina and Chile. Todd on the porch of his villa in the Canggu Rice Fields. Courtesy of Todd Plummer. Michelle Poler has a lot of fears—enough that she launched an entire career around how to beat them. 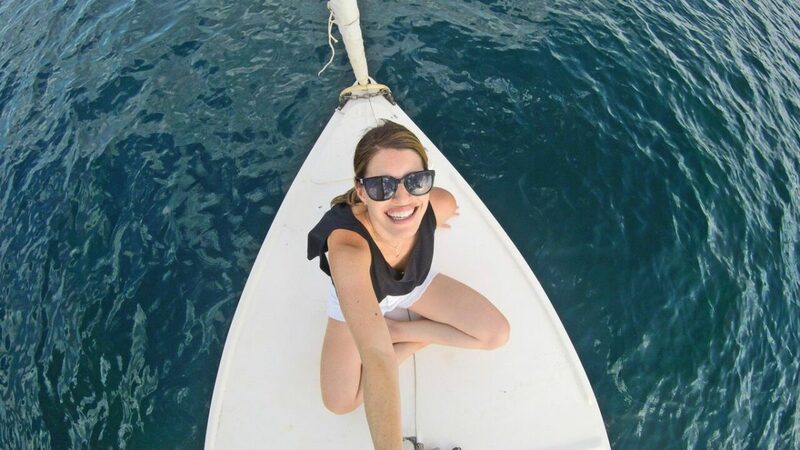 As the woman behind Hello Fears, based off of a 100-day project where she challenged herself to conquer a new fear each day, she travels all over the country and the world inspiring others to face their fears alongside her. 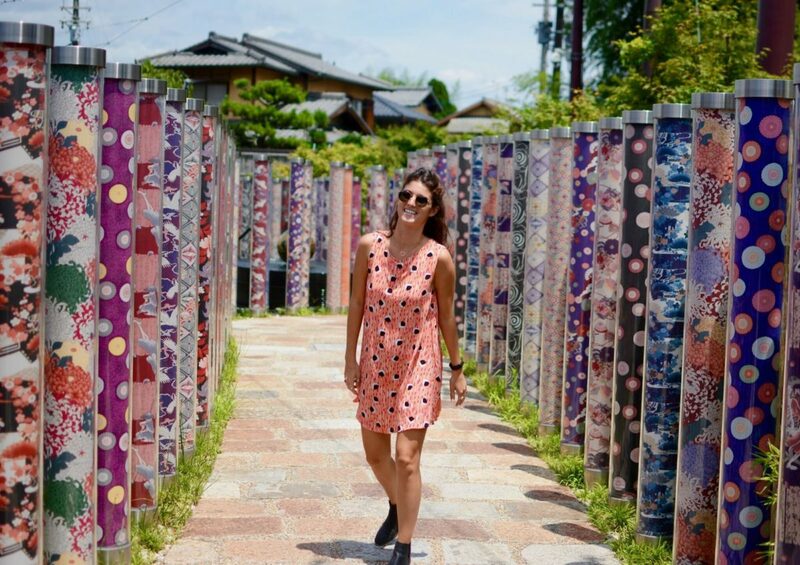 Becoming a nomad was not necessarily her intention at the outset, but with continued speaking gigs that have her jet-setting two weeks of every month, it’s the only way for her and her husband, Adam, to make her new career work. Soon after her speaking business took off last year, Poler quit her advertising job, Adam quit his job in finance, and the two agreed not to renew the lease on their N.Y.C. apartment. They threw what they could fit into suitcases and the rest in storage, and set off for Miami, where they stay with family in between speaking commitments. One definite perk of living as a professional nomad: travel is completely open-ended. 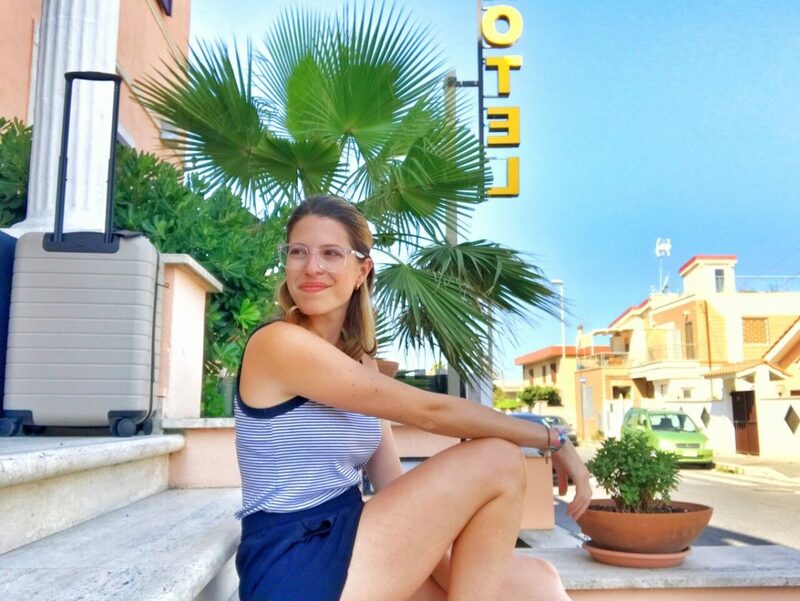 A speaking engagement in Rome can turn into a few months hopping around Europe, which happened for Poler and her husband. 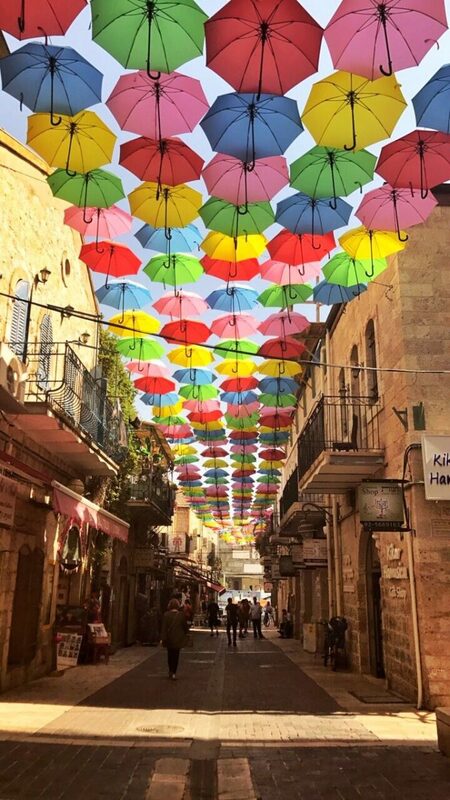 “And while we were still in Europe, another [opportunity] came up to speak in Tel Aviv at a big Microsoft event, so we decided to stay even longer in Europe and then travel to Israel from there,” she says. 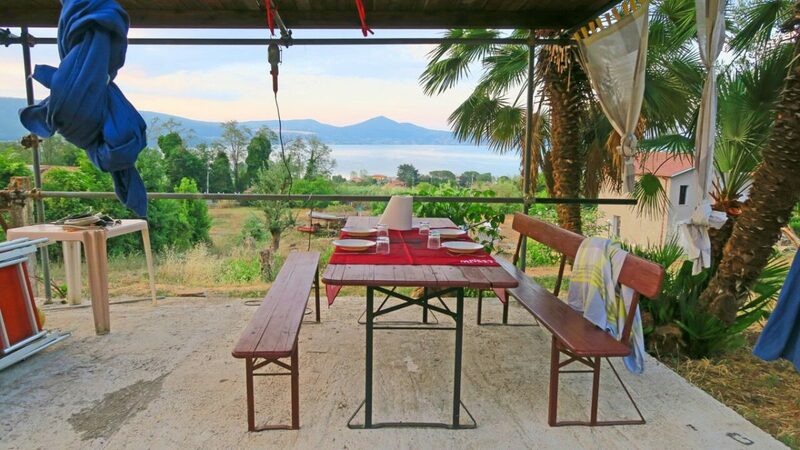 Views of Italy's Bracciano Lago. 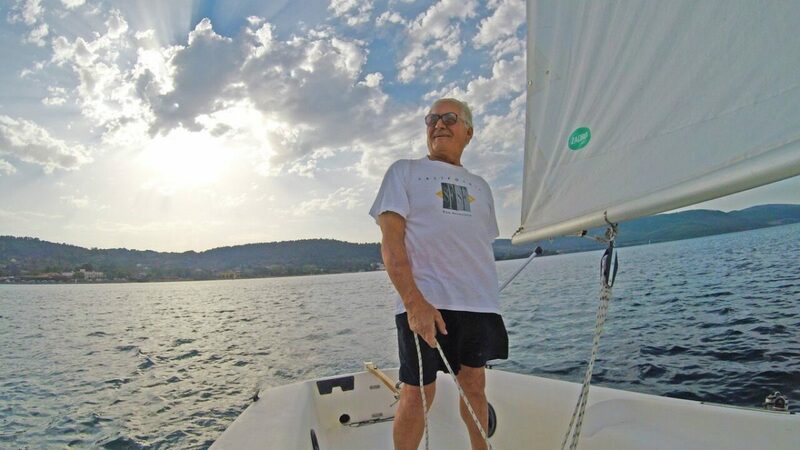 Michelle's AirBnB host at Bracciano Lago, Italy. Michelle and her husband Adam at Bracciano Lago. All photos courtesy of Michelle Poler. Last year, they also traveled to Colombia and Panama (Poler, who is Venezuelan, speaks Spanish, which helps the couple get around Central and South America with ease). The itinerary for the rest of 2017 includes Panama (again), Costa Rica, a number of stops in the U.S., and parts of Asia. Michelle's view from the street below in the middle of Jerusalem. When Jamin’s nomad life is hard, it’s really hard. Between the frequent mechanical troubles and visa and banking complications, Jamin has had his fill of challenges. But would he trade such uniquely exciting adventures as Alaska King Crab fishing, staying with families in roadless communities of the Amazon Jungle, and living with headhunters in Borneo for something easier to swallow? Not a chance. Inconveniences and all, Ben is certain that his life on the road is more fulfilling for him than the alternative. 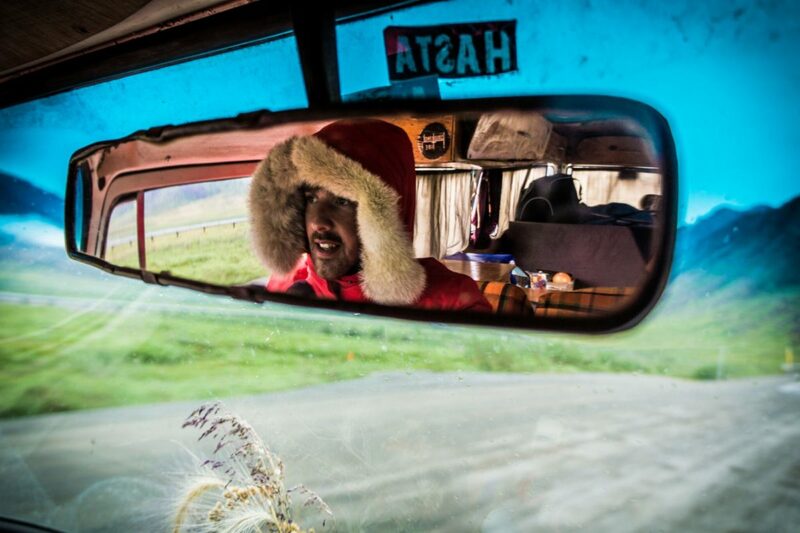 Ben Jamin on the road between Chile and Alaska. 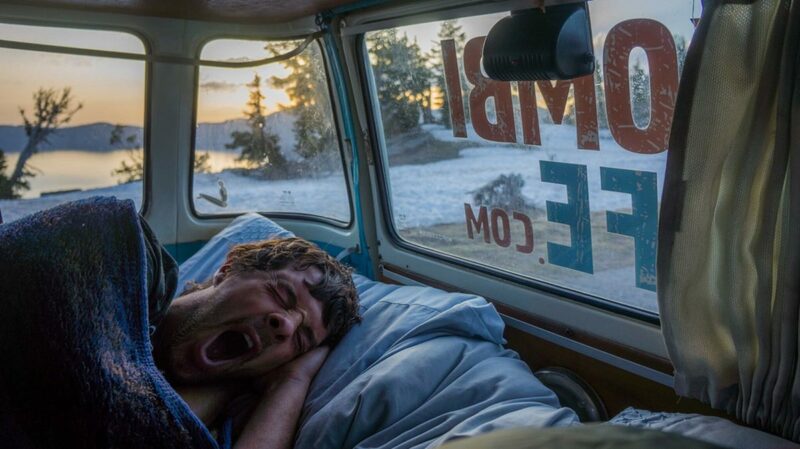 Photos courtesy of Kombi Life. 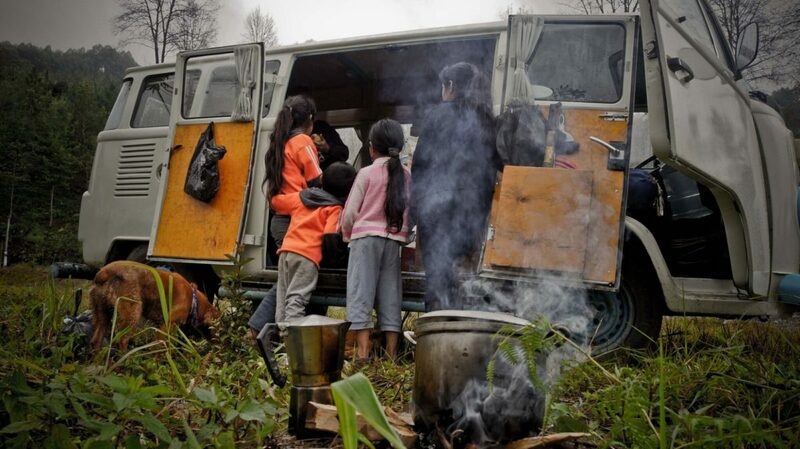 Local kids check out the Kombi van in Lanquin, Guatemala. 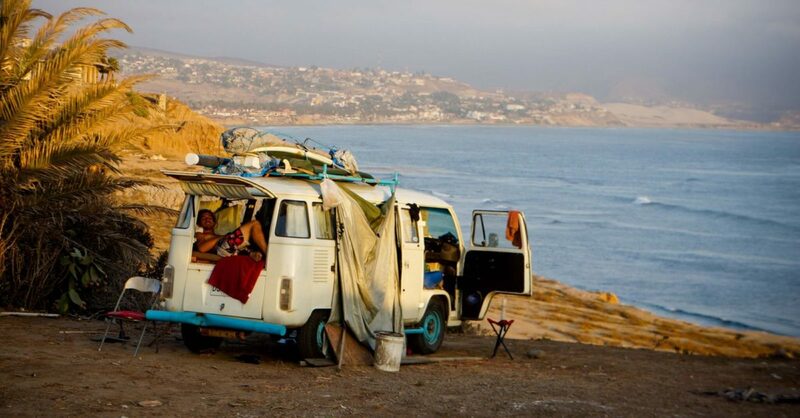 The van in Baja California, Ben's last stop in Mexico. 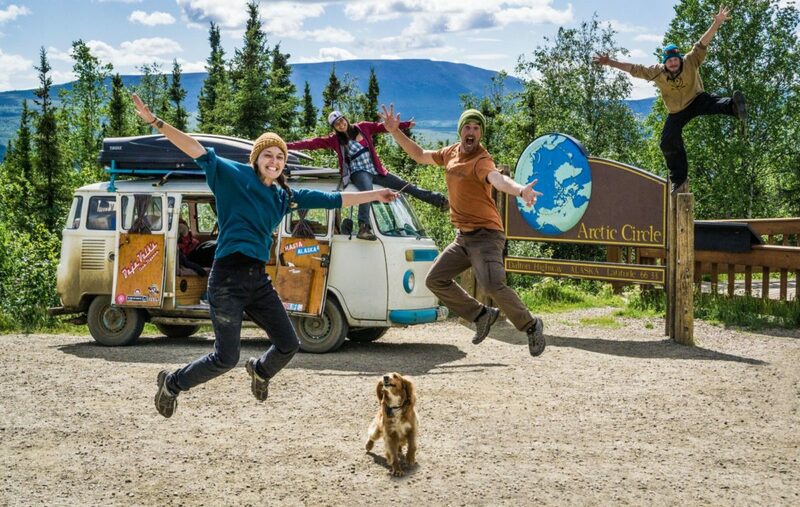 Celebrating the completion of his trek at the Arctic Circle on the Dalton Highway in Alaska. Sunrise over the pagodas in Bagan, Myanmar. All photos courtesy of Hannah Hart. 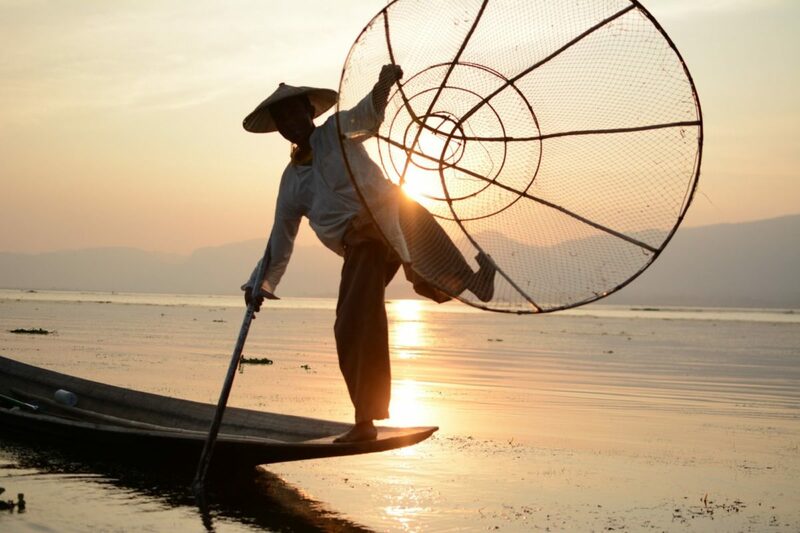 Traditional fisherman in Inle Lake, Myanmar. 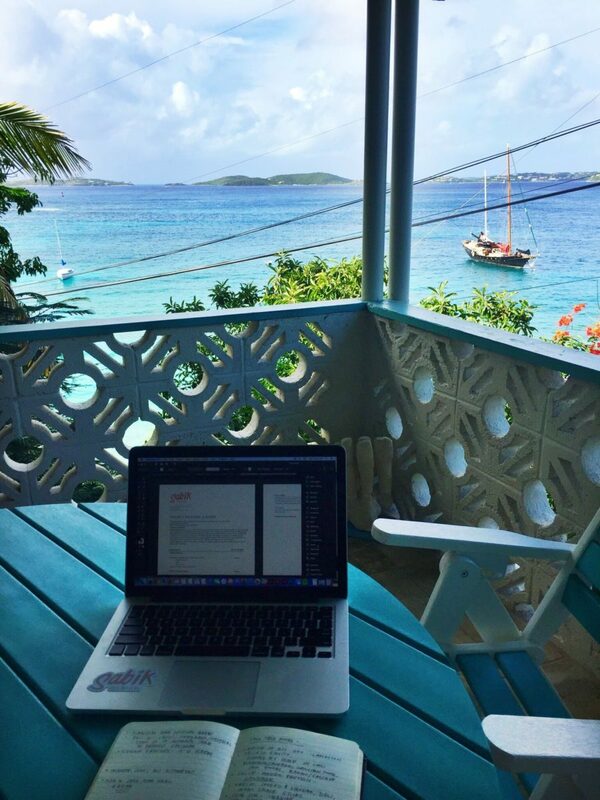 Views from Hannah's workspace in St. John, Virgin Islands. Biking through Nusa Penida, a small island in Indonesia. 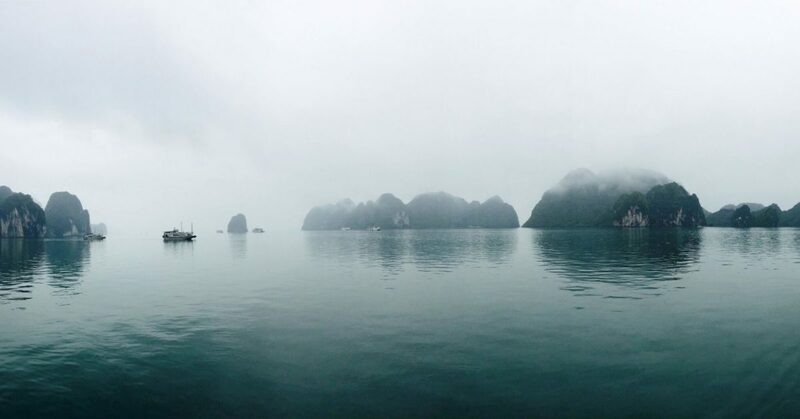 Fog over Halong Bay, Vietnam. The challenges of being a young nomad with an even younger nomadic company are numerous. In particular, though, Hannah’s found that it’s hardest to make a lasting impression somewhere when she continues to bounce from place to place. “[The hardest part] is definitely trying to establish yourself somewhere. For example, I just moved to Denver and I’m really trying to get my foot in the door and network.” To aid in the daunting task of getting her name out there, she works out of WeWork, which has spaces all over the world, and takes full advantage of their online community, app, and their many events. Hannah hard at work at Le Pirate Beach Club in Nusa Ceningan Island, off the coast of Bali. 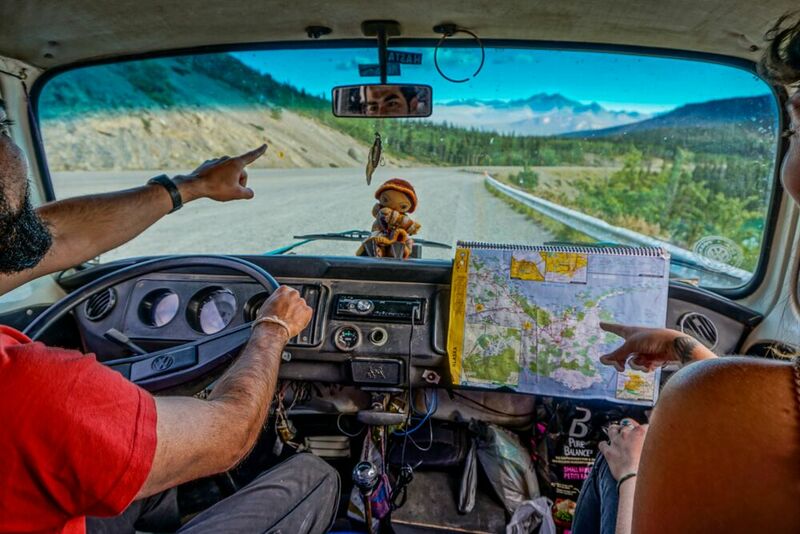 If vagabonding in a van for months at a time isn’t exactly your style, there are still ways to live life like a nomad—plumbing included. Enter Bruno Haid, the founder of the global co-living and co-working network Roam. 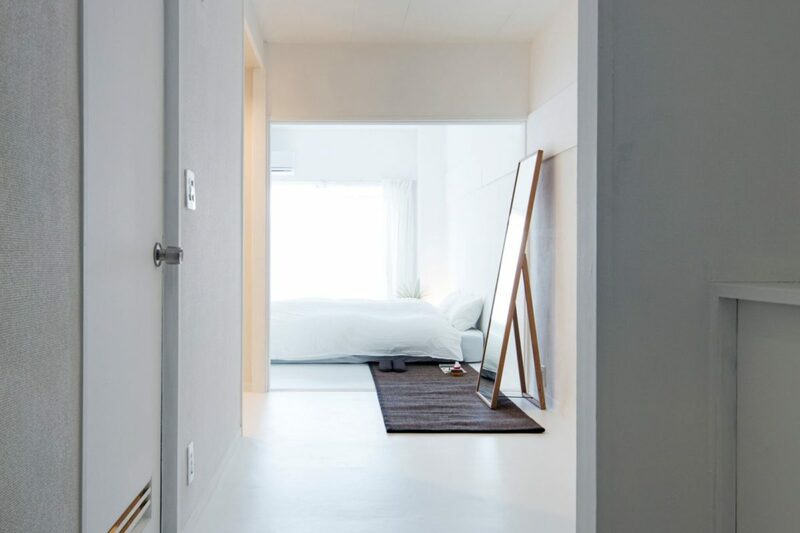 With locations in Miami, Tokyo, Ubud, London, and soon San Francisco, Roam provides community networks and housing for digital nomads who are able to work from anywhere in the world with a Wi-Fi connection. Roam co-founder Bruno Haid. All photos courtesy of Roam. 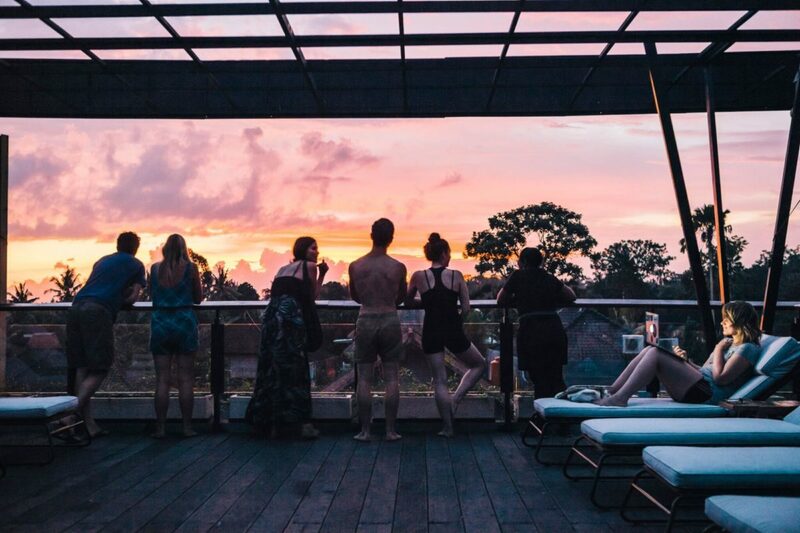 Sunset at the Roam Bali property. 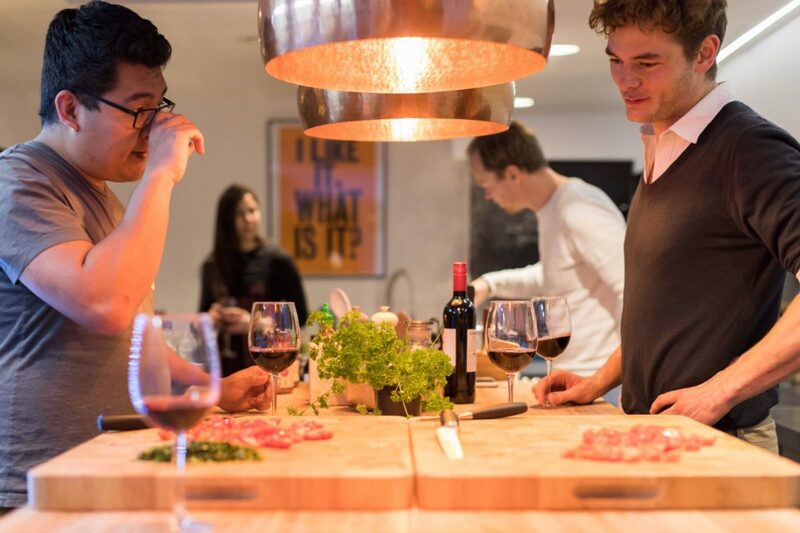 A cooking class at Roam London. 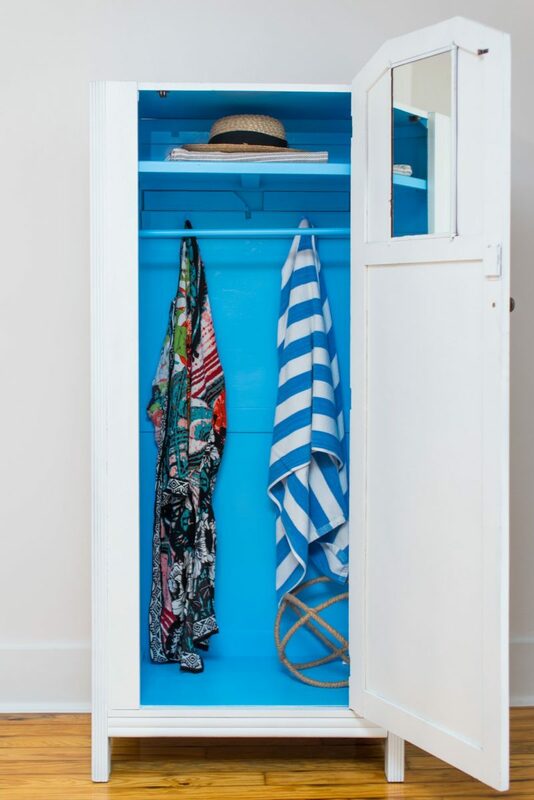 Beach attire is work attire at Roam Miami. 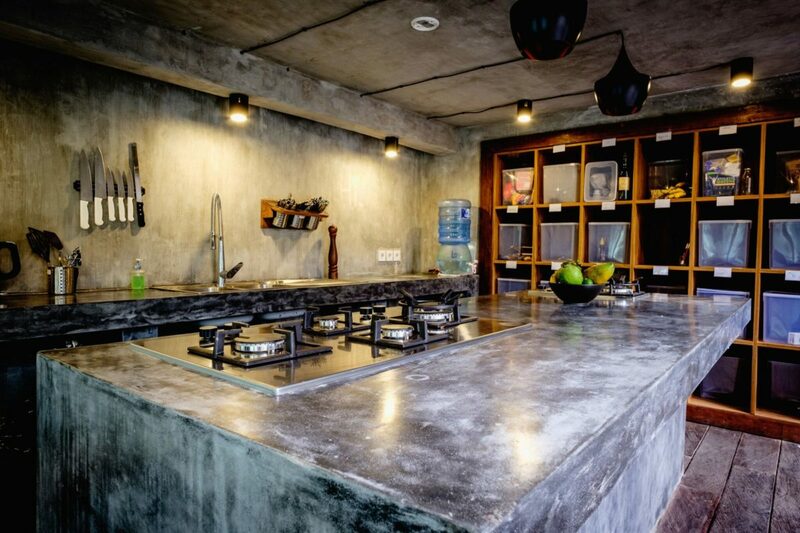 Kitchen space at Roam Bali. Weekend fun at Roam Miami. 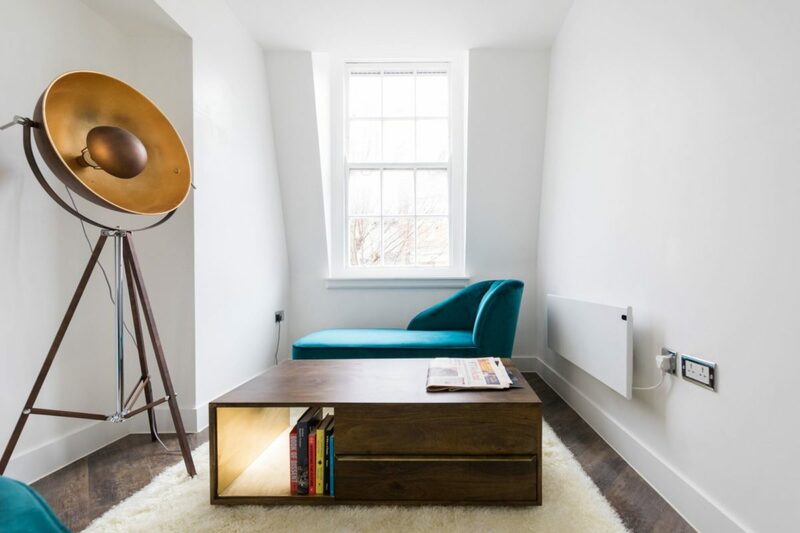 Shared workspace at Roam London. 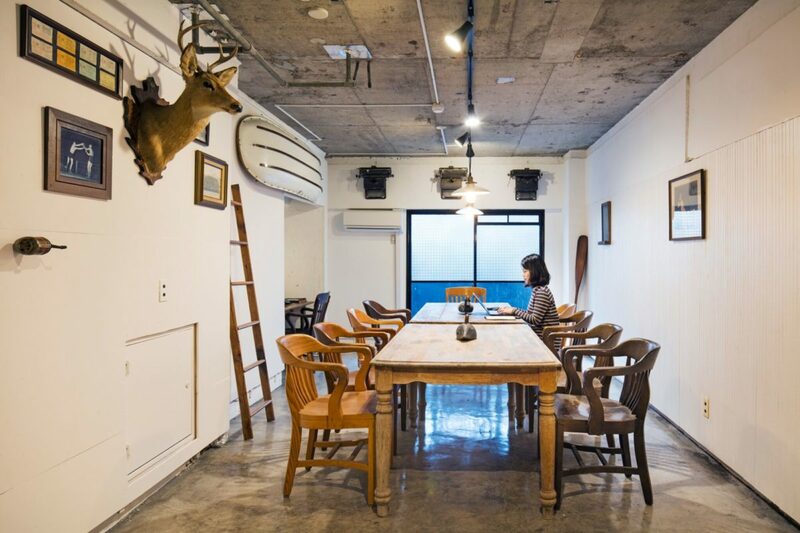 Co-working space at Roam Tokyo. 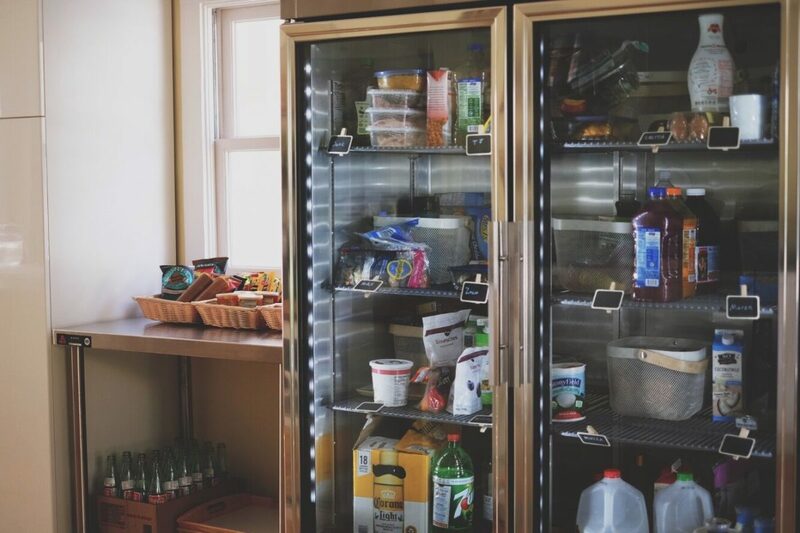 Fridge setup at Roam Miami.